Revenge won’t change anything—or will it? 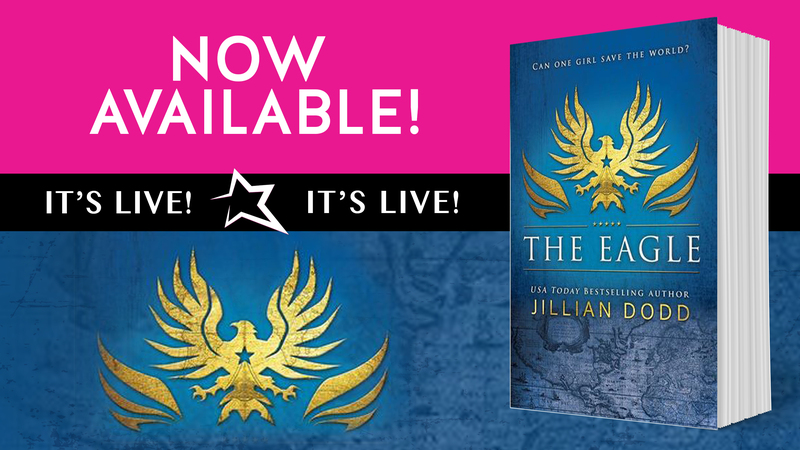 The Eagle by Jillian Dodd NOW AVAILABLE!! From USA Today bestselling author Jillian Dodd comes the second book in a sizzling series filled with action and adventure. Fans of The Selection and The Hunger Games will discover a heart-pounding thrill ride of espionage and suspense set in glittering high society. The world’s most deadly assassin, a man known only as The Priest, has come back from the dead to take a series of high profile hits. When the assassin completes his first task—shooting an important world leader, the global community goes into collective shock and his government vows retaliation. With her cover firmly cemented as Huntley Von Allister, Spy Girl’s vacation on the Royal Yacht is cut short when she’s called home for her next mission—and, this time, it’s personal. Can Huntley accomplish her mission before the next hit takes place? And what will happen when she finally comes face-to-face with the man who killed her mother? “But what if it could?” he asks. Win a Kate Spade handbag & signed paperbacks of the Spy Girl Series. "There's no such thing as too many books." Copyright © 2019 Nerdy Chic.